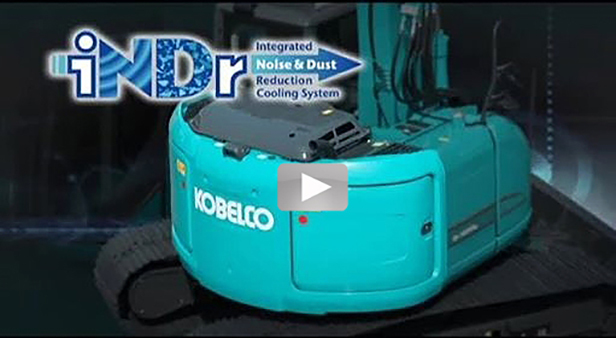 In contrast to conventional systems, which use a large fan near the intake port to cool the engine, iNDr creates a "wind pathway" that naturally introduces air into the system with a fan located further inside the machine, which makes it possible to reduce noise, heat and prevent dust penetration. 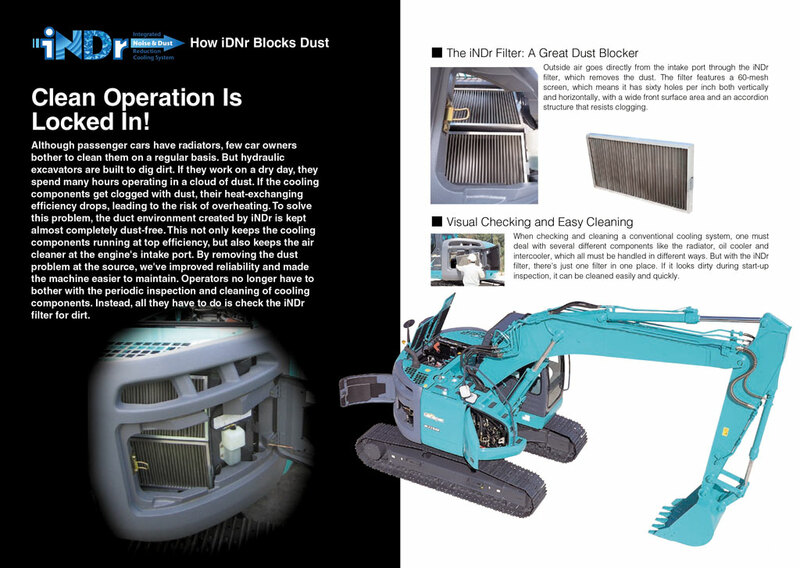 Our team were able to accomplish this by offsetting the fan and moving it further inside the machine so that there is no direct line between the fan and the air outside. Sound waves generated by the fan and engine hit several internal duct walls and lose much of their energy before it reaches outside. - Evaluated Value: A Sound level calculated by the sound level in 6 directions. - Operation: Simulated operation (digging). 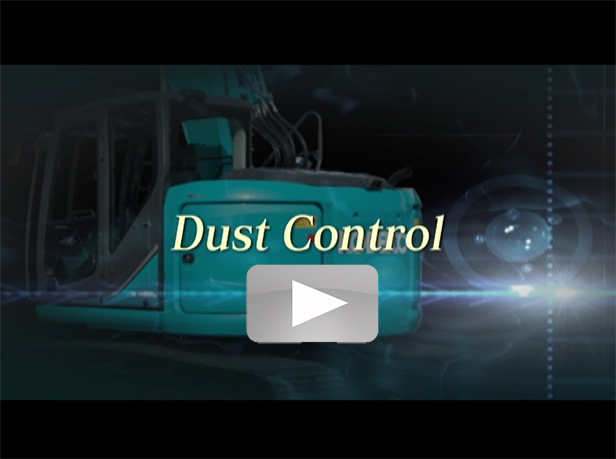 - Measuring Road Surface: Surface of the concrete. 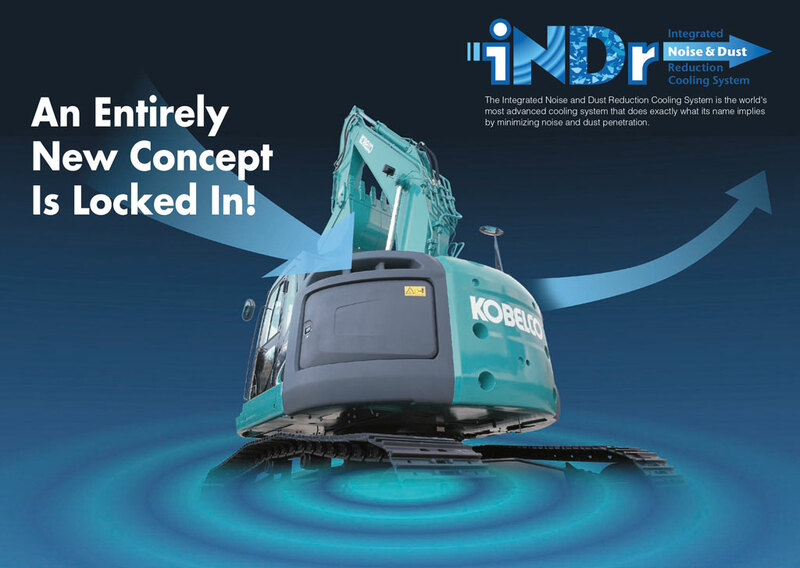 Watch how Kobelco's iNDr Cooling System works here!